Have you posted more about the Envoy? If not, please do a presentation in the RF camera or equipment photos section, I'd be interested to see the camera and learn a bit more about it. The Envoy Wide Angle camera. 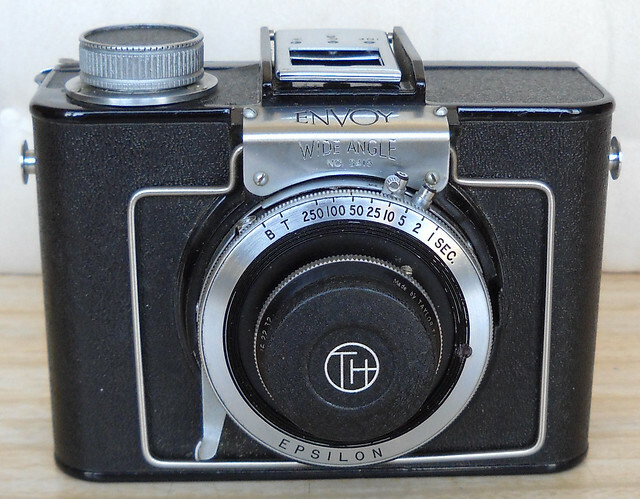 (Although it was marketed by Ilford, it is not to be confused with Ilford's own Envoy, which is a more conventional 6x6 box camera). 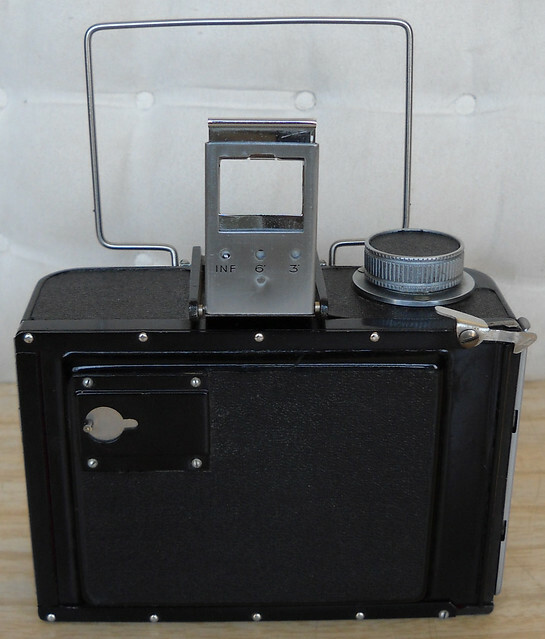 This could almost be described as a (1950s) Box Camera, being fixed-focus, but with the additional capabilities of a wide-angle lens, 64mm by Taylor-Hobson, giving an acceptance view of 82deg on 6x9, and offering the choice of 120 roll film or individual plates. The focus is optimised for 'middle-distance' work (specified d-o-f 10ft to 60ft at f11), with flash synchronisation provided for close-in work in low light. The lens opens up to f6.5, for view composition only when the ground-glass screen is in use. I like this camera for architectural or landscape subjects; closing the aperture to f22 extends the d-o-f to infinity, but with some vignetting still evident. So for hand-held work a fast film and stopping well down is desirable. Oh, and it (just) fits into a jacket pocket . Some other information from elsewhere is here (it is seen with a variety of shutters: Agilux, Epsilon, Synchro-Compur, ... The Taylor-Hobson lens, incorporating its own iris, just sits inside the host shutter; the iris of the host shutter is not used). 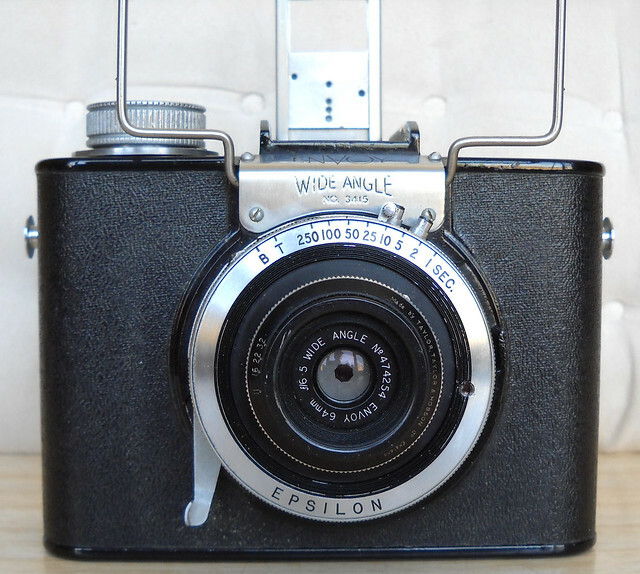 Wow, that's a unique camera, one I've never seen or heard of before. Excellent! Thank you for presenting it.